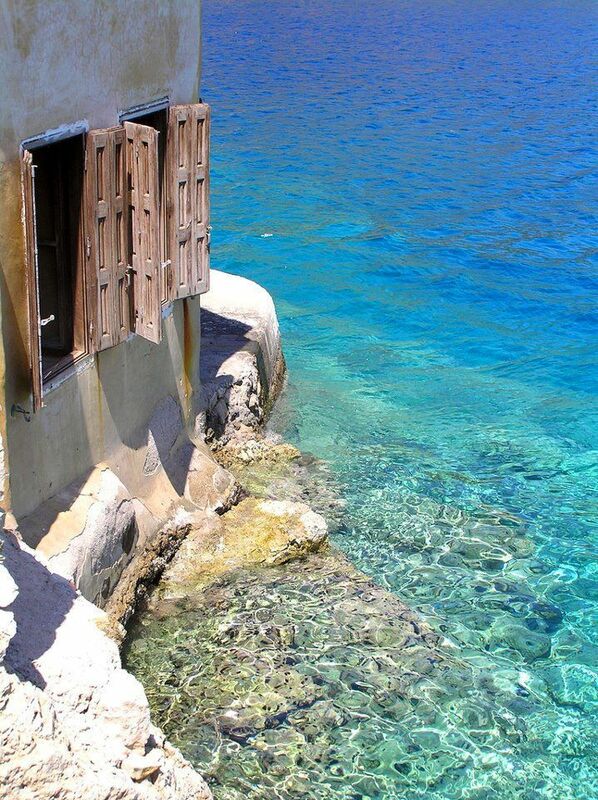 Kastelorizo Island is a Greek island and municipality located in the southeastern Mediterranean. It lies roughly 2 kilometres (1 mile) off the south coast of Turkey, about 570 km (354 mi) southeast of Athens and 125 km (78 mi) east of Rhodes, almost halfway between Rhodes and Antalya and 280 km (170 mi) to Cyprus.Kastellorizo is part of the Rhodes regional unit.The meaning of its current official name Megisti (Μεγίστη) is "biggest" or "greatest", but at only 11.987 km2 (5 sq mi) in area, it is the smallest of the Dodecanese. The name, however, refers to the fact that it is the largest of the small archipelago. The houses of the town are slender and characterised by wooden balconies and windows of the Anatolian type. Behind the waterfront, many houses are still in a ruinous state. At the entrance to the harbour, on the east side, stand the single story remnants of the former Italian governate (palazzina della delegazione), erected in 1926 by the Italian architect Florestano Di Fausto (it), who also designed some of the most important buildings of the Italian period in Rhodes. Nearby is the island's former Ottoman mosque which dates from the second half of the 18th century and which has been now restored and re-opened as a museum (2007). From here starts the town's quay, which runs along all three sides of the harbour. The central square —Plateia Ethelondon Kastellórizou—lies at the midpoint of the eastern side, near the vessel dock. On the opposite side of the harbour one has a good view from this vantage of Pera Meria, the western quay, and the monasteries of Profitis Elías and Aghia Triadha, the former now an army base. Тема „Ефирно“. Изображенията в темата са от nicolas_. Предоставено от Blogger.